Pupe & Cavalieri is a new fashion house for boys and girls, 0 to 10 years, creating exquisite clothing and knitwear , designed in London and exclusively made in Italy. The name Pupe & Cavalieri, the Italian for "Dolls & Knights", reminds of the antique ceramics used in southern Italy to tell enchanting stories to children. What is Pupe & Cavalieri’s style? A world of precious fabrics, crispy cottons and elegant designs in a simple, classic colour palette. Timeless and gracious, our style always remains truthful to the romantic charm of childhood. What are Pupe & cavalieri’s values? Quality, craftsmanship, design and sustainability. A big challenge, indeed! We believe in quality, which nowadays is synonymous of luxury. We source the best natural fabrics and high quality manufacturing to end up with a product which stands out for its classic, refined simplicity. What are the highlights of Pupe & Cavalieri Spring/Summer collection? 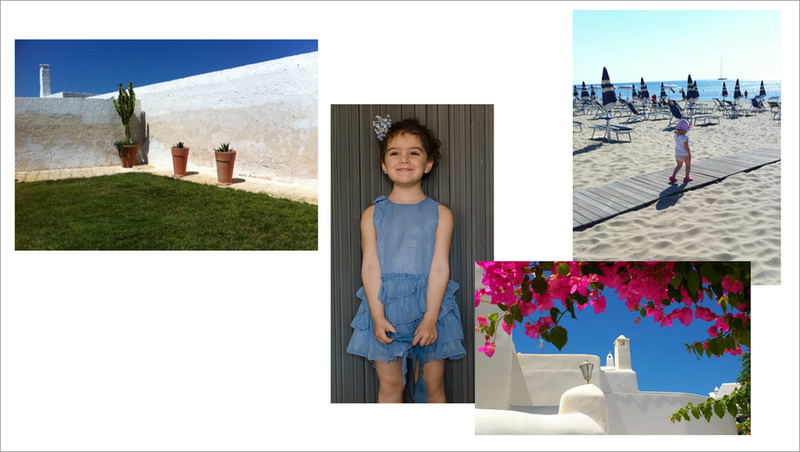 Our Spring/Summer collection is inspired by the colours, scents and feelings of Mediterranean holidays. Always trust an Italian! For girls, we have created simple silhouettes in crisp piquet cottons and light taffeta’ textures; and for boys, smart, classic looks in fresh white and stripy cotton and linen. We are delighted to have been selected to support the EXPO Milano 2015 - Made of Italians, thanks to the value of quality, craftsmanship, design and sustainability , which are the core of our brand. As part of the programme, Pupe & Cavalieri is pleased to offer a 25% discount on products available online at www.pupeandcavalieri.com using your EXPO Milano 2015 - Made of Italian pass and the code EXPO2015. We look forward to seeing you on 6th December at the Godolphyn & Latymer Christmas Fair for Our Journey Along the Silk Road. A collaboration with TramaedArtista for a limited edition of silk scarves, signed by contemporary Italian master painters. A precious accessory for mums and children. We are thrilled to have been shortlisted Best Emerging Children's Fashion brand for the Junior Design Awards 2014. The "Aqua" dress as featured on Profashion Magazine - Russia. So happy to be welcome to new markets. We are so excited to have been nominated Finalists in the Rising Star Award for the Best Debuting Launch Brand - Bubble London , July 2014. The new Fair season has started. I wanted to share with you what intrigued me at the PULSE-London, interesting gift proposals or just something special for our little ones. 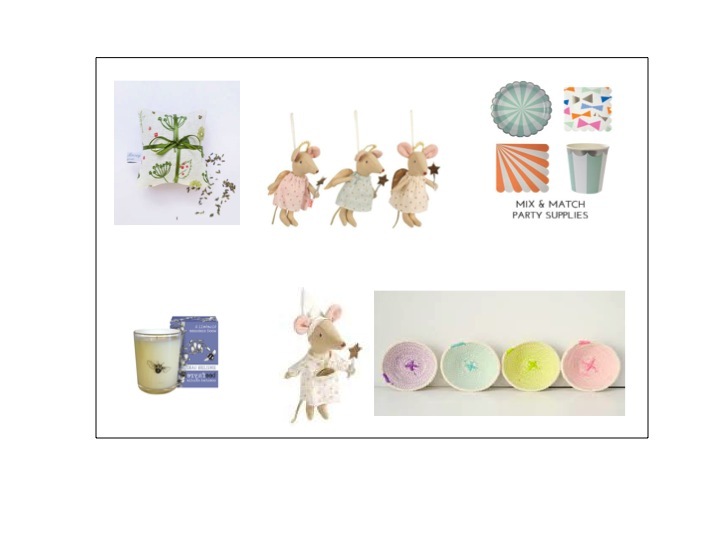 I like the Cotswold-grown lavender bundles by Charlotte Macey, handmade and inspired by local surroundings; the fancy party range by Meri Meri for ultra chic fun; and the delightfully sweet fairies and tooth fairy mice by the Scandinavian Maileg. For a “me” treat, I would choose the Bluebell & Wood anemone candle by Beefayre, a pot of loveliness with a honeybee print. And for a colourful touch to the children’s room, handcrafted rope baskets in candy colours by Paleolochic. Welcome to Pupe and Cavalieri! Let our first spring /summer capsule collection give you a glimpse of our signature style. Coral pink bougainvilleas against chalk-white walls and deep blue sky are the perfect backdrop to timeless, simple silhouettes with light, floating textures in Vichy and flower prints. The lighter and delicate tones, of aqua, lavender and antique white evoke the serenity of a sandy beach at sunset or the beauty of blossoming trees. The collection features charming handmade shoes from the exclusive designer Vevianne Lopez.